The new PD-4002 microFirewall is a cost-effective, state-of-the-art, ARM®-based, Perimeter Defender Security Gateway appliance. 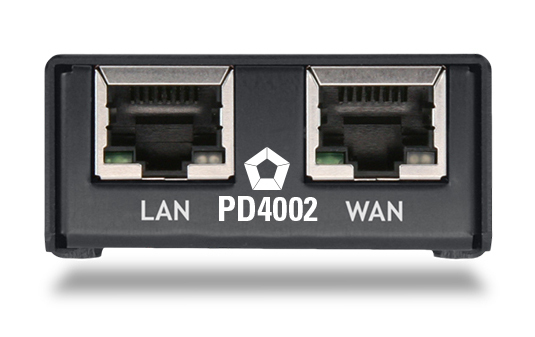 The PD-4002 comes with dual 1Gbps Ethernet ports, enabling maximum throughput exceeding 300Mbps. The ARM Cortex®-A8 in the TI AM3552 SoC and DDR3L RAM combine to facilitate low-power consumption while maintaining performance. The PD-4002 comes in a lightweight and durable anodized aluminum case. It’s credit-card sized form-factor allows it to be easily tucked away, but you’ll be proud to show it off.